Brenzel says he knows that sounds glib, but it drives home a crucial point. Children in the United States are on drugs for longer and more often than kids in any other country. And for children on Medicaid or in foster care, the numbers are far higher. In Kentucky, for example, a child in the Medicaid program is nearly three times as likely to be prescribed a mind-altering psychotropic medication as a kid under private insurance. For a Kentucky foster child, the likelihood is nearly nine times the norm. 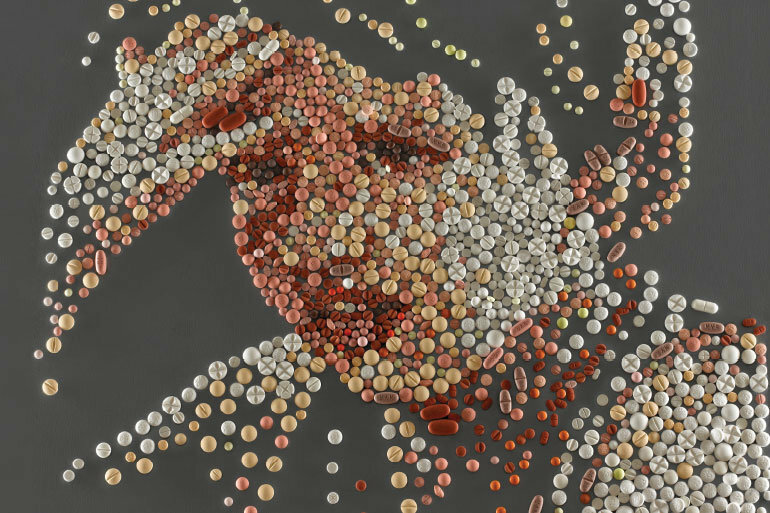 Kentucky is hardly alone in overprescribing psychotropics, a class of drugs that ranges from stimulants to antidepressants and antipsychotics. Between 1997 and 2006, American prescriptions for antipsychotics increased somewhere between sevenfold and twelvefold, according to a report by the University of Maryland. And just as in Kentucky, the nationwide numbers for children in foster systems or on Medicaid are startlingly higher than for other children. An average of 4.8 percent of privately insured children are prescribed these drugs every year; among kids on Medicaid, the number is 7.3 percent, according to the most recent study, which looked across 10 states. For children in foster care, it’s a whopping 26.6 percent. And it isn’t just children who are being abused by a failed health care system. The homeless and the elderly, who tend to place absolute trust in the decisions of medical professionals, are being exploited by a corrupt, self-serving and impotent mental health care system. Yep, and I’ve seen it first hand. Physicians that have no knowledge of manufactured recommendations or are just simply too busy to read up on what the psych md’s prescribe at (in some cases) a 15 minute exam. Ophthalmologists (and many MD”s) that didn’t know that Ritalin was counter indicated in children under 14 because it causes muscle spasms and the eye’s are…controlled by muscles. duh! Here in KY, some are beginning to be more careful of what they prescribe but there are still those that are more interested in getting the billing for the 15 minute exam and caseworkers that are only interested in not having any ‘issue’s’ from foster children. When I did fostering, I also found out that there was a lack of accurately reporting what was going on with the foster child. If the psych md doesn’t have accurate reporting, they sure can’t make an accurate diagnosis and if necessary prescribe any meds. But the use of prescription drugs to turn a child into a compliant robot, is the epitome of adult abuse and neglect of a child. The one aspect that assists in this is the lack of transparency of Juvenile Court. They answer to no one but the few there and too many of them have little or no understanding of the abuse of prescription writing. Updating this one…I told my niece in law to find out if two of her boys had been tested for lead poisoning ever since she’s been told one has ODD and the other ADHD. Both might have started with lead poisoning and there is no pill in the world that’s gonna fix it.